Hyderabad Metro Rail is all set to bring to the citizens, an international urban transportation experience through its quality-intensive, comfort & safety oriented features. The Project Report, made by Delhi Metro Rail Corporation, was the result of an extensive study of the geophysical features of routes, international best practices and economics. The Project is expected to be completed at an estimated cost of Rs. 12,132 crore . This project is won by Larsen & Toubro (L&T) Company for the Construction of Hyderabad Metro Rail (HMR) project . A Greater Hyderabad is a mega city that covers 625 sq. km. of municipal corporation area and 6852 sq. km. of metropolitan area. It is fast emerging as the hub of IT/ITES, Biotech, Pharma and Tourism sector. Its strategic geographical location, multilingual and cosmopolitan culture, tremendous growth potential and investment-friendly economic policy are all making it an attractive destination for corporates, entrepreneurs, academicians and homemakers alike. when there is no traffic problems at route such as shamsheergunj, kalapather, eidgah, zoopark, bahadurpura then what is the need of taking the MMTS train route, to these places as this places also contains some mosque and temples in the area. good concept and a good thought behind the project, hope it just completes in the mentioned time frame. then it is an achievement. its a very proud thing to happen for India. 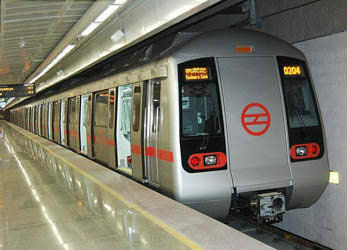 it wont affect peoples occupation as it going to have a high returns ones the METRO runs through the losses which people feel will be compensated within no time.as the whole area is going to be valued appreciated after the METRO runs.all the best for the Government, hope they achieve it on time.